Before you lay your head down Christmas Eve and visions of new model kits start dancing through your heads, let’s finish up our rundown of projects in the hopper here at Polar Lights models. I hope you have enjoyed the looks the progress on Kane, the U.S.S. Reliant and King Kong kits. We announced acquiring the Alien/Aliens license at Wonderfest. 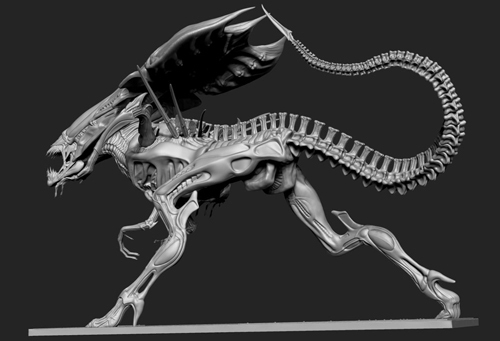 Here is a look at something we have talked much about yet, the Alien Queen! 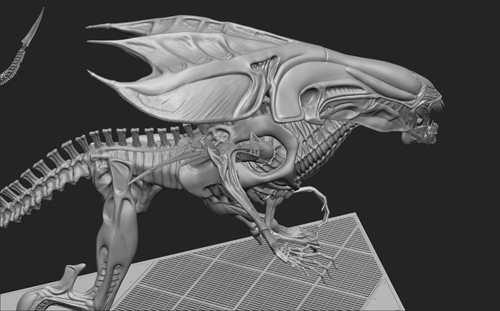 This is the digital sculpt as rendered by Bill Wieger, the same sculptor we used on the Kane kit. 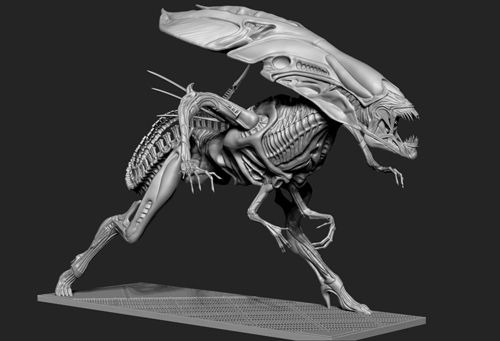 The model offers a dynamic look at the creature. We are still nailing down the details on the final scale and release date. We’ll announce more when we know more. Well, that wraps up a great 2013! Please have happy and safe holidays. We’ll see you next year! This entry was posted on Monday, December 23rd, 2013 at 9:00 am	and is filed under Polar Lights, Round2 Models. You can follow any responses to this entry through the RSS 2.0 feed. You can skip to the end and leave a response. Pinging is currently not allowed. 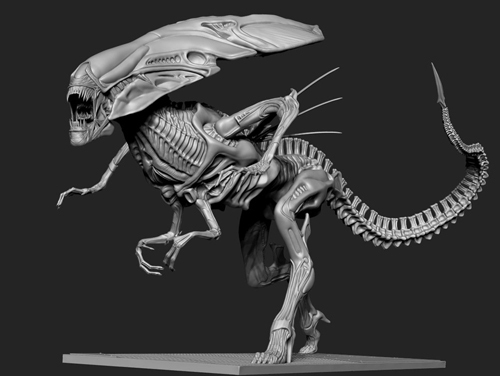 Wow….Please say this will be Resin…. Absolutely perfect!!! You guys are knocking it out of the park with these new kits! Incredible work, I can’t wait. That is an amazing looking sculpt. 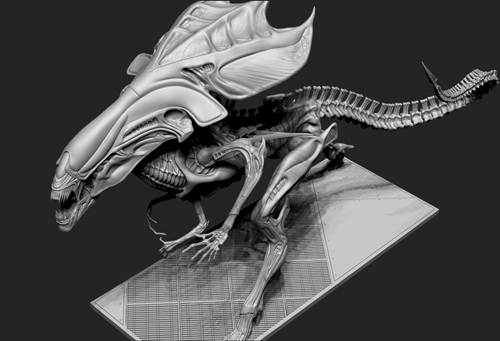 I’m looking forward to seeing what the 1/1000 Sulaco looks like! I would like to see an accurate Narssisus that can have lighting abilities. 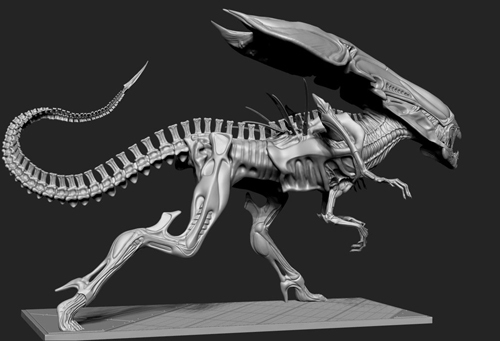 Looks great – hope you’re going to cast the jaw tendons and teeth in transparent plastic! And I’m pleased to see it looks like you’re going with the correct plastic pallet grating (as per in front of the Sulaco’s airlock) on the base! Any chance of a reissue of the Narcissus? Please tell me this will be in the same scale as Halcyon’s Ripley / Power Loader. WOW! I will be the first in line to get this kit! 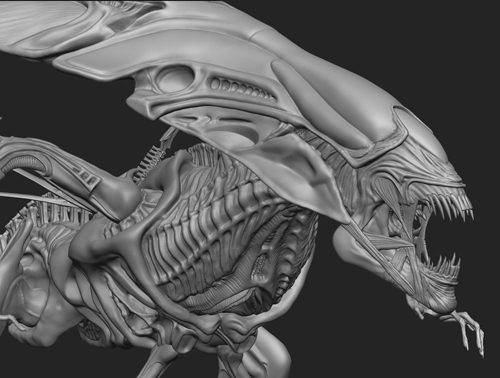 One suggestion: Please mold the jaw/teeth in clear. That would be the finishing touch to an already wicked kit design. are we going to see test builds at wonderfest this year??? or any new aliens kits in physical form for that matter?? Rest assured we’ll show whatever we have on hand when the show arrives. That’s simply awesome. Congrats for your work. I am very disappointed that this kit was canceled. I was really looking forward to the challenge of this one. 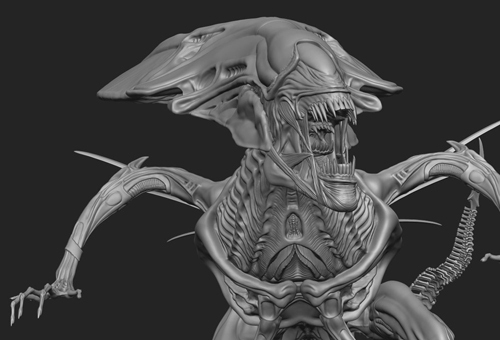 You should remove the digital sculpt from this blog. Very disappointing indeed. We are equally as disappointed I’m sure. I don’t feel comfortable removing anything from our blog. We talked about it, we showed it, we ultimately weren’t able to do it. That is the true history, and I wouldn’t want to give the impression that we are trying to rewrite that.